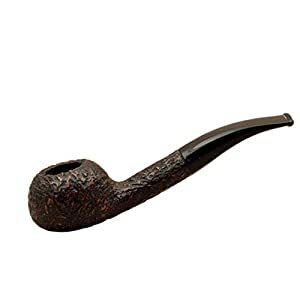 Smoking a pipe is a special ritual that attracts smokers not by nicotine consumption, but by incredibly pleasant sensations and subconscious admiration. And if cigars are traditionally smoked in a company, the tube is an attribute of solitary pastime and philosophical thoughts. 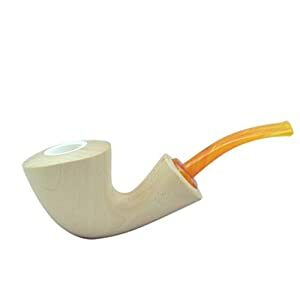 It is noticed that many people try to smoke a pipe, but only a few remain faithful to this smoking accessory. Why it happens? Perhaps it is a special gene that determines who will be with the tube all his life, and who will try and forget. The thing is that a smoking pipe is a special philosophy that requires some mental work, concentration, and even a drop of fanaticism. 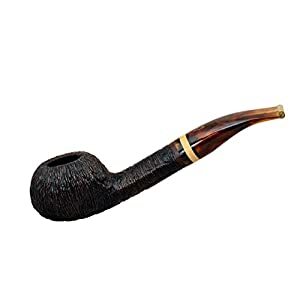 How to choose and buy a smoking pipe? Everything depends on your preferences. 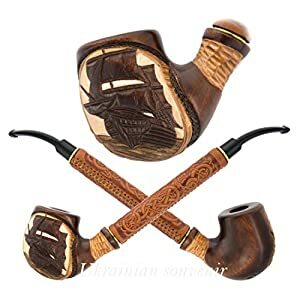 Market offers us different types of smoking pipes – classic, strict and elegant pipes made of precious wood, as well as unusual metal, glass and magnetic ones . 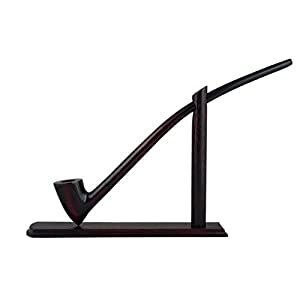 The shapes of these smoking devices will make even long-time collectors and admirers of smoking pipes wonder. These can be traditional tubes that have familiar contours and shape, or very creative products, for example, of flat shape or even the head of some misterious creature. The device consists of two main parts – head and mouthpiece. The heads of pipes have different shapes, diameter and volume of the hole for tobacco. Ebonite is usually used to make the mouthpiece, the reason for using exactly this material is its good elasticity. But also manufecturers often use amber or acrylate for these purposes. Want to make an impression? Light the pipe! And not in an unpretentious, inexpressive, but certainly in the most spectacular way. When people hear the word ‘pipe’ they usually think of England. England, mysterious mist and Sherlock with his faithful friend. So let’s think about this pipe lover. Sherlock is a picture of clever, mysterious person with well-rounded education and excelelnt intuition. So, you can’t disagree that sometimes pipe gives its keeper an appearance of clever and in some way mysterious person. Among the best-selling English tubes can be called and the brand Falcon. These models are distinguished by a wooden tube bed in combination with an aluminum barrel screwed to the bowl. Such practicality of the design is appreciated by smokers: the replacement of the tube is carried out by simply replacing the bowl, which is very convenient for travelers. Essential plus fast cooling of a smoke in the metal channel of a flue. By the way, the Falcon tube is very light in weight. Manufacturers offer different smoking pipes, which is better for each smoker himself. There are a lot of manufactories all over the world that produce pipes and accessories for them. In our online store you can find branded products from England, Italy, Germany and France. And, of course, the material of each pipe plays an important role. 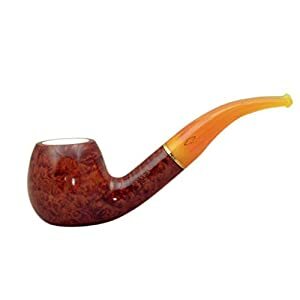 Appreciated smoking pipes are made of heather, walnut or persimmon. Billiard is one of the most common pipe with a straight mouthpiece and a wide bowl. 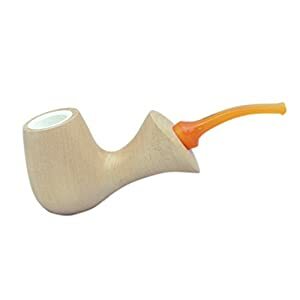 A pot pipe with an elegant curvature of the mouthpiece. 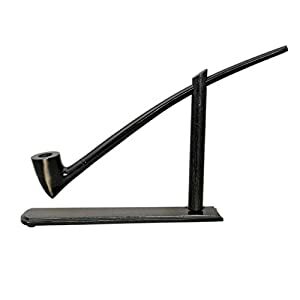 Churchwarden, the so-called home pipe, has an elongated mouthpiece. Dublin. Available in different variations, for example, with a dotted mouthpiece. Bent Army, a model with a fully machined mouthpiece. Meerschaum (Sea Foam) is distinguished by its elegant, sophisticated mouthpiece design which provides cool and dry smoke. Prince is one of the variations of Billiard, the difference is in the shortened mouthpiece. 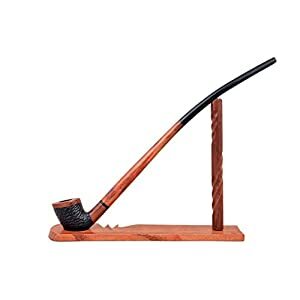 Bent Bend is a convenient model for those who prefer to smoke while holding the pipe with their teeth, for example, while driving. The vept-rhoclesian is a perfect everyday pipe with a slight inclination of the mouthpiece. Our online store sells accessories for smoking of different price. Buy now and you will receive your goods in a few days. Our products are delivered to every corner of the USA.